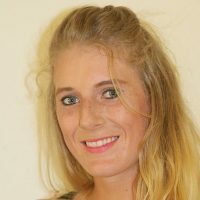 Scharnee was born in 1991 in Thabazimbi and matriculated at Richards Bay High School. She later studied and qualified as a Group Training Instructor through ETA. She is passionate about fitness and inspiring and motivating others. She’s been in the Fitness Industry since the age of 16. She started her career at Curves, after which she moved to Shapes for Women and Virgin Active. It was a hard decision to leave the Fitness Industry to fulfil her dream career as a Fire Fighter at Richards Bay Fire Department, but she doesn’t regret it. On her free days she instructs Fitness Classes and enjoys interacting with people of different ages helping them to achieve their goals and feels blessed to be a part of that journey. She currently instructs Spinning, (her favourite), Body Blast, Conditioning and Pump classes. Her motto in life is “hard work always pays off”. Her hobbies include weight training, modelling and Netball.